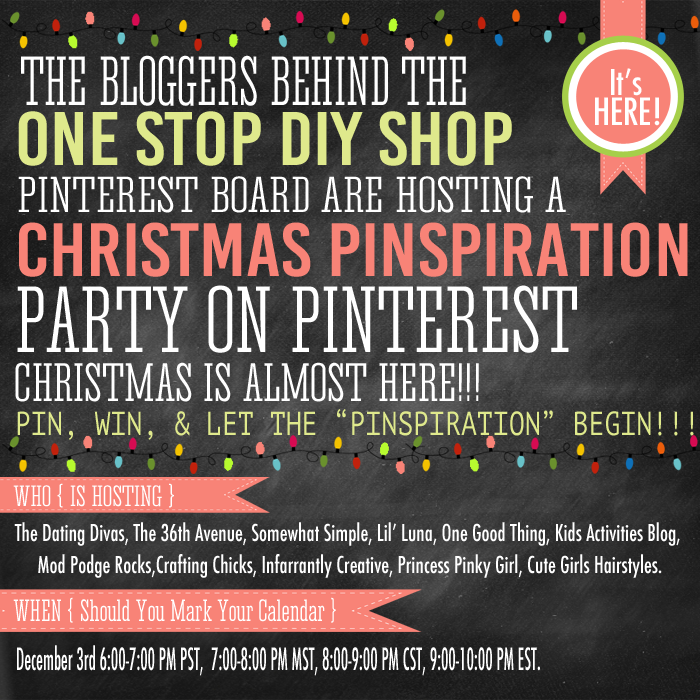 We’re inviting YOU to the most pinspirational party on Pinterest! 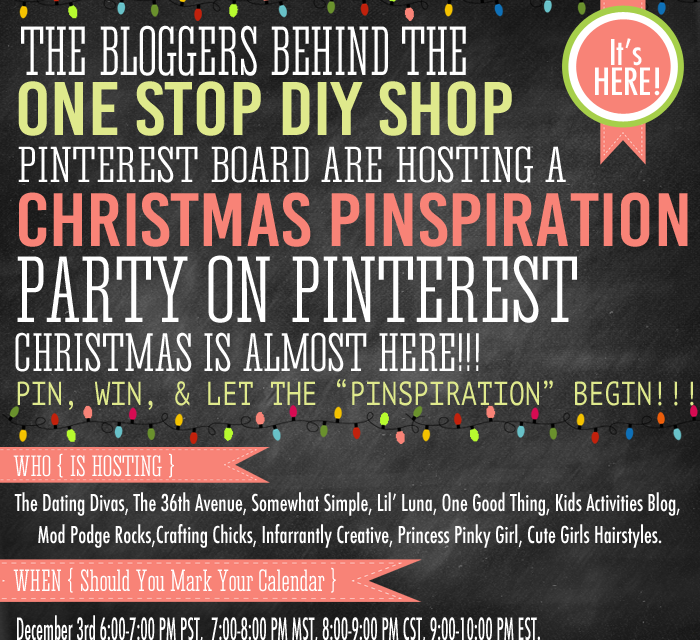 We know it’s not quite Christmas yet but this Party on Pinterest is going to give you so much inspiration for the upcoming holiday that it will feel like Christmas – PLUS you get a chance to WIN some fantastic prizes! All this amazing fun is happening TONIGHT! Whether this is the first you’ve heard of it or you knew about it and totally forgot until right now, you can still get in on all the excitement. Who wants to WIN BIG?! In addition to the slew of incredibly pinspirational ideas and the totally FREE party favors, you’re not going to believe what we’ve got in store for one lucky pinterest party-goer. We’ve lined up the most fantastic giveaway with the help of Imperial Sugar! Christmas is coming early for one pinner, because they’re going to snag the ultimate baking set, including a Kitchen Aid Stand Mixer, an iPad, Digital Cookbooks, Silicone Baking Sheets AND a case of Imperial Sugar! 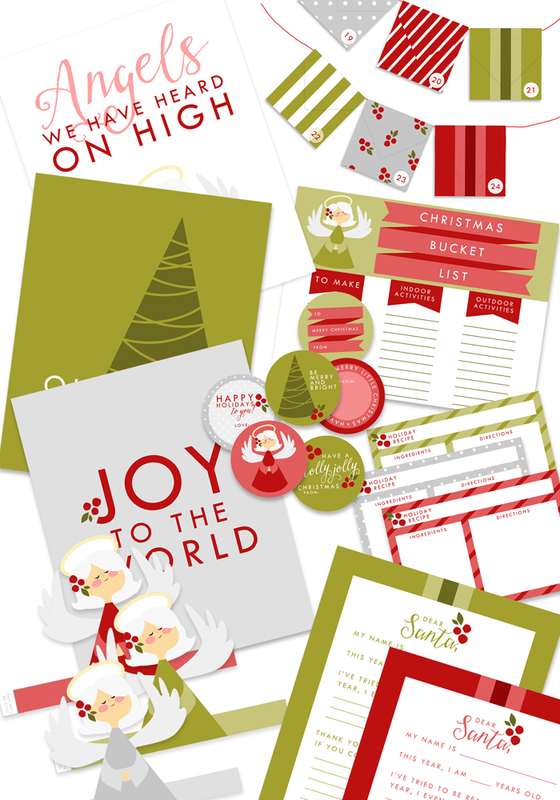 With all these goodies you’ll be ready to bake Christmas cookies into the New Year! Winner will be announced at the close of the party! Haven’t entered yet?! No worries. Just click HERE to head on over and throw your name into the hat! If you’re still a little confused, no worries – as soon as you register, we’ll send you all the little details of our virtual shindig! Have you registered? Nope? Click HERE! Is your alarm set for tonight? You’re not going to want to miss a single pin! We’ll “see” you soon on our Pinterest board!